I created two activities on the animal cell. 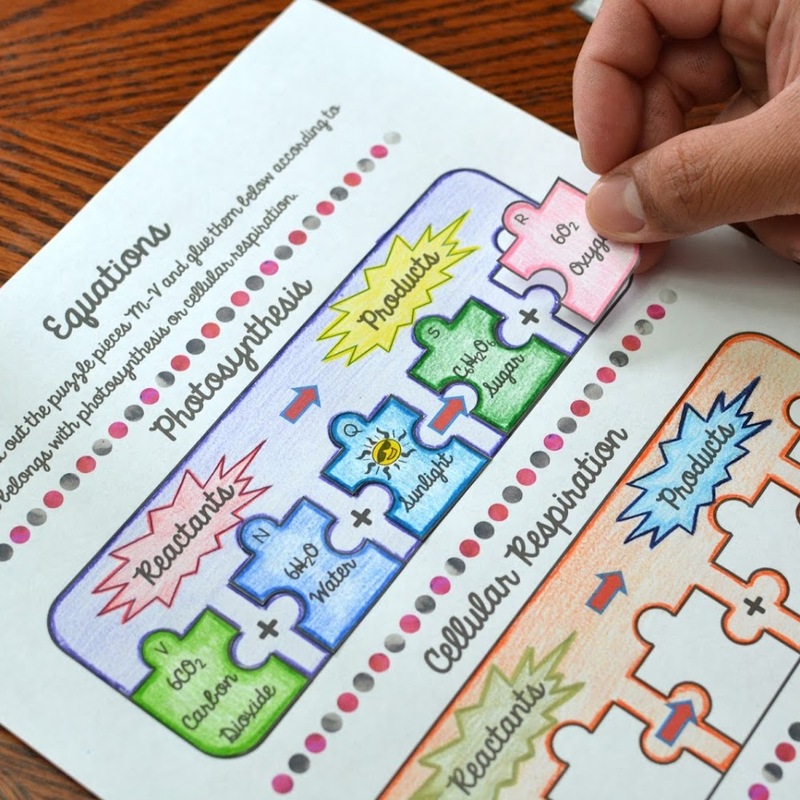 The first activity is a puzzle activity that involves coloring, cutting, and pasting puzzle pieces according to the organelle. Organelles included are smooth endoplasmic reticulum, rough endoplasmic reticulum, cell membrane, vacuole, ribosomes, cytoplasm, golgi apparatus, lysosome, nucleus, mitochondrion, microtubules, nucleolus, centrioles, and nuclear membrane. I have also included a blank template so that you can add or take out any of the organelles according to fit your standards. 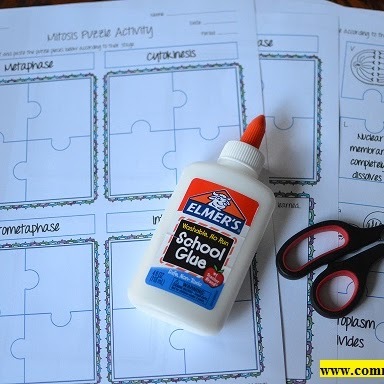 Students will glue the name of each organelle on the top and the function/info on the sides. I organized all of the functions/info together. Also, I organized all of the names together. Match the name with the drawing of the organelle. Students will have lots of fun putting the puzzle pieces together. I had the cutest helper! My two year old daughter loved to glue the puzzle pieces. The second activity is the same activity as the first one except that there are no puzzle pieces to cut out. Students will be given a "Word Bank" and write in all of the information for each organelle. I created a 5 day activity on simple interest. Students will be given a career with a gross annual income. There are six different careers: a firefighter, postal worker, farmer, construction worker, chef, and astronaut. 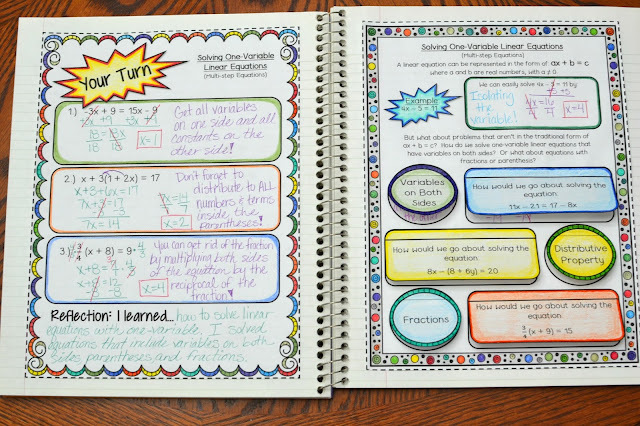 You can laminate the cards and use them year after year! Students will calculate the monthly payment of six different cars and the mortgage of four different houses. They will use their monthly net pay to determine which car and house they can afford. Lastly, students will also take into account other monthly expenses such as cable, internet, food, entertainment, gas for the car, and electricity. You can purchase this whole activity by going HERE. 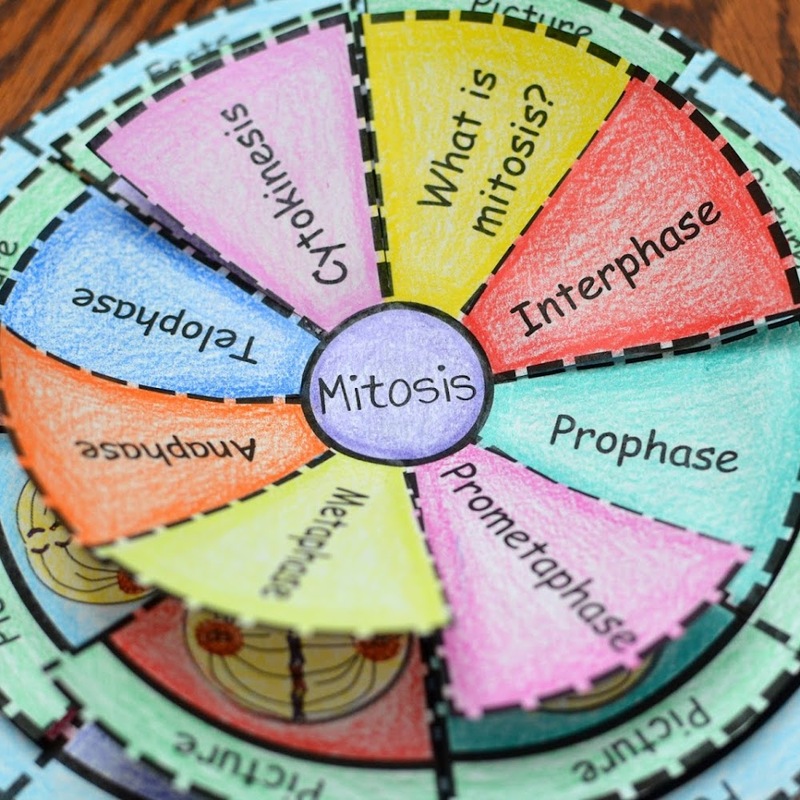 I just finished compiling all of my Mitosis and Meiosis activities. You can purchase the bundle by CLICKING HERE. 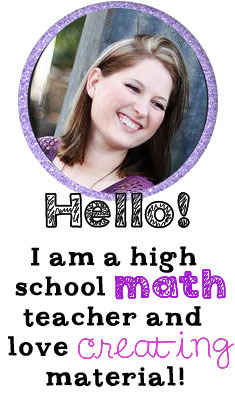 You can also purchase each activity individually by going to my Teachers Pay Teachers Store.